Why we try to reach out to these scum is beyond me. It's not we. It's primarily the Appeaser in Chief. If you listen to the passengers and crew who flew on American Airlines Flight 1561 last weekend, there's no doubt about what happened on their harrowing trip: A Yemeni man shrieking "Allahu akbar!" at the top of his lungs more than 30 times rushed the cockpit door twice intending to take down the plane and kill everyone on board. The clammy, sweaty lone male passenger exhibited classic symptoms of what Middle East scholar and author Daniel Pipes has dubbed "Sudden Jihad Syndrome" — a seemingly random outbreak of threatening behavior or violence by a hysterical Muslim adherent who had not previously exhibited signs of Islamic radicalization. It took at least four men to tackle and restrain Rageh Ahmed Mohammed al-Murisi. "There was no question in everybody's mind that he was going to do something," passenger Angelina Marty told the San Francisco Chronicle. And no, that "something" did not mean enlisting his fellow flyers in a midair flash mob performance of the "Hallelujah Chorus." Not everyone was so grounded in reality. Bleeding-heart sympathizers seriously speculated that al-Murisi had simply mistaken clearly marked lavatory doors for the clearly marked cockpit door (because, you know, it's normal to shout "God is great" repeatedly just before relieving yourself as your plane is about to land). Some federal authorities and media whitewashers proclaimed that al-Murisi's motives were "unknown." If only al-Murisi had been screaming phrases from the Constitution. The Selective Motive Determination Machine — the same one that rushed to pin the Tucson massacre on the Tea Party, the GOP and Fox News without a shred of evidence — would have kicked in to full gear. On Wednesday, a San Francisco judge denied al-Murisi bail. Unburdened by the paralyzing prissiness of political correctness, federal prosecutors noted that "Allahu akbar" was the same refrain invoked by the 9/11 hijackers over Shanksville, Pa., and by the would-be Christmas Day bomber over Detroit. Not to mention Fort Hood jihadist Nidal Hasan, the Frankfurt, Germany, jihadist who killed two U.S. airmen on a bus in March, the young Portland, Ore., Christmas tree lighting bomb plotter, every last suicide bomber across Europe, Africa, South Asia and the Middle East, and every last evil al-Qaida beheader broadcast on video over the past decade. So how, despite a massive transportation and homeland security apparatus, did al-Murisi get into this country and get on a plane? He had no keys, no luggage, $47 cash, two curious posted checks totaling $13,000, and a trove of expired and current state IDs from New York and California — where relatives said he had not notified them that he was coming. He is young, male, brought no family with him, had no job or other discernible income, and hails from the terror-coddling nation of Yemen. Yes, the same Yemen that is Osama bin Laden's ancestral home, harbors al-Qaida operatives who are burning the "torch of jihad," and is deemed a "special interest country" whose citizens warrant increased scrutiny by DHS when they cross the border illegally. At least the heroes of Flight 1561 who refused to sit silent learned the proper 9/11 lesson. "I swore to myself that I would never be a victim" after the 2001 attacks, passenger Larry Wright, one of the men who brought al-Murisi down, told reporters earlier this week. The only effective homeland security begins and ends with a culture of self-defense. Just as there are no atheists in foxholes, there are no "see no jihad, hear no jihad, speak no jihad" delusionists on airplanes with Allahu akbar-chanting flyers beating down doors. Buried by the MSM like every other incident involving this intolerant, fanatical, violent totalitarian ideology. Washington (CNN) -- In the latest WikiLeaks dump of classified government documents, hundreds of risk-assessment files on Guantanamo Bay detainees tell a "he said, he said" story of terror plots considered and potentially planned as a follow-up to the 9/11 attacks. Khalid Sheikh Mohammed, who calls himself the mastermind of the attacks in which planes crashed into the World Trade Center and the Pentagon, seemed to be busy conjuring up many plots before his capture, according to the documents. Telling interrogators that al Qaeda had planned to create a "nuclear hell storm," Mohammed gave up a chilling laundry list of attacks in the works. Immediately after 9/11, he said, he began to plot an attack on Heathrow Airport in London. According to the documents, he told interrogators there were two primary cells for the attack, one based in the United Kingdom tasked with obtaining pilot training from a commercial flight school in Kenya, and another in Saudi Arabia, assigned to identify people willing to martyr themselves in the attack. In late 2001, Mohammed was hatching a plan to hijack a commercial airplane and have it flown into the "tallest building in California," according to the documents, most of which were released by WikiLeaks on April 24. He planned using at least two shoe bombs to gain access to the cockpit, the documents say. Then in April 2002, the documents say, Mohammed thought about hijacking cargo planes and simultaneously flying them into several airport terminals across the United States. He asked al Qaeda operative Iyman Faris for help, telling him to study ways of entering cargo areas of airports. Faris also was crucial to Mohammed's plan to destroy the Brooklyn Bridge by cutting the suspension cables, according to the documents. The video game Sega also played a role in Mohammed's plans. The documents say he discussed the use of Sega game cartridges as remote-controlled firing devices. The devices were found during a raid on Karachi in September 2002, according to the documents. The CIA and FBI headquarters, nuclear power plants in the United States, and the tallest buildings in Washington state also made Mohammed's potential target list. Information gathered by the intelligence community on potential terror plots was passed on to authorities, New York Police Commissioner Ray Kelly told CNN. "It was never exact. That's not how intelligence information is delivered. Sometimes there's contradictions, sometimes it's confusing. But there was information indicating that there was a plot against a bridge in the Godzilla movie," Kelly said. The New York Police Department took that reference to mean the Brooklyn Bridge and devoted additional resources to securing the span, including assigning police officers and police cars to the entrances. Kelly said the department also assigned a police boat to observe the bridge from the water and sent helicopters to do flyovers. Al Qaeda abandoned the plan, calling the weather "too hot," meaning there was too much security on the bridge for the plan to go forward. But Kelly said the plan to cut the cables, using special blowtorches, could have been implemented if an attacker had gotten into a security room where the cables are anchored. "If you got into that room you'd be able to, in my judgment, you'd be able to cut the cables (and) not be seen by the public, not be seen by the traffic passing on the bridge," Kelly said. "So, yeah, it would have been feasible to do it and (is) still potentially feasible." Mohammed wasn't the only busy plotter, apparently. The risk assessment documents released by WikiLeaks highlight many other detainee schemes. "I'm glad that the American people are starting to learn how many of these we had to deal with and how many we were facing. I think it's a good thing," CNN National Security Contributor Fran Townsend said. She was homeland security adviser to President George W. Bush. In early 2002, according to the documents, detainee Abu Zubaydah worked with Mohammed to send Binyam Ahmed Muhammad and Jose Padilla to Chicago, where the two were to create a natural gas explosion. Muhammad and Padilla, both of whom were apprehended, planned to rent two apartments in high-rise buildings that used natural gas for cooking and heating, and then create an explosion that would bring the buildings down. Documents also show that a talk about the role of jet fuel in the collapse of the Twin Towers between Mohammed and eventual detainee Majid Khan sparked another plot to blow up gas stations. With the help of two to three African-American Muslim converts, Khan planned to break into the huge underground fuel tanks and plant an explosive inside. The gas-station plot, as well as plans to target suspension bridges, were revealed in 2003 to news media by sources familiar with the questioning of Khalid Sheikh Mohammed. In another plot, Saifullah Paracha discussed using his textile business as a cover to smuggle explosives and chemical agents into the United States. He told Mohammed that shipping ready-made explosives and chemical agents hidden amid children's and women's clothing would go undetected by port authorities searching containers. Homeland Security officials say this revelation led to beefed-up port security. Paracha was arrested in Pakistan in 2003. Townsend, however, cautions that not all the plots divulged in the interrogation rooms were credible. "That's part of the problem with the WikiLeaks dump of documents. Many of the things that are dumped out there are things that the intelligence community and law enforcement looked at and dismissed as not credible," she said. "Not all of it just because it was written down are things that were actually believed." One detainee, Bashir Lap, expressed his desire to marry four wives and have 12 children with each wife to create his own jihad army, for example. "As ridiculous as some of these sound, you realize you have to step back, you need technical experts to explain to you is this possible, if it's possible how likely is it to be successful, and what would it require on our enemies' part to carry such an attack off successfully," Townsend said. The documents also show Khalid Sheikh Mohammed expressed displeasure with convicted shoe bomber Richard Reid's unsuccessful attempt to blow up an airplane in flight. Mohammed called Reid "irresponsible," saying he told him to shave his beard prior to boarding the airplane and to detonate the shoe bomb inside the airplane bathroom. Reid did neither. And in the category of failed plots, the documents say the self-proclaimed enemy of the United States noted that because he did not hit the White House during September 11 attacks, as he planned, he would "somehow try to attack the White House again one day, due to its symbolic value to America." Al Qaeda has released a video urging Muslims who live in the U.S. to take advantage of the easy access to firearms and buy guns to kill Americans. In the two-hour video released Friday, Adam Gadahn, an American-born spokesman for the terror network, cited America as an example where Muslims in the West have tools at their disposal for a holy war against "the enemies of Islam." "America is absolutely awash with easily obtainable firearms," said Gadahn, who is known as Azzam al-Amriki. "You can go down to a gun show at the local convention center and come away with a fully automatic assault rifle without a background check and most likely without having to show an identification card. "So what are you waiting for?" he asked in a matter-of-fact tone. The extended video reportedly shows the logos of Exxon, Merrily Lynch and Bank of America. Gadahn seeks to assure would-be terrorists that striking these targets isn't difficult. "Getting to these criminals isn't as hard as you might think," he said. "I mean, we've seen how a woman knocked the Pope to the floor during Christmas mass, and how Italian leader Berlusconi's face was smashed during a public appearance. So it's just a matter of entrusting the matter to Allah and choosing the right place, the right time and the right method." The video comes one month after Navy SEALs shot and killed Usama bin Laden in Pakistan. This is the next guy that needs a bullet in the brain. (CNN) -- A new video message was released Wednesday from key al Qaeda figure Ayman al-Zawahiri, the man who was once second in command of the organization under Osama bin Laden. The message is the first released from al-Zawahiri since bin Laden was killed in Pakistan by U.S. Navy SEALs at the beginning of May. The nearly half-hour video, displayed on several radical Islamist websites, includes a poem eulogizing bin Laden. Al-Zawahiri says in the video that the former al Qaeda leader "went to his God martyred because he said no to America." Al-Zawahiri questions the U.S. assertion that bin Laden was buried at sea in strict accordance with Islamic tradition. "What kind of Islam are they talking about?" he asks. "Is it America's Islam or the Islam version of (President Barack) Obama who sold off his father's faith?" Al-Zawahiri also criticizes the "treacherous" Pakistani government, and warns that America is "not facing individuals or groups, but an entire (Islamic nation that) rose from the ashes in a Jihadi awakening to face its oppressors." He calls the political uprisings sweeping the Middle East and North Africa -- the so-called Arab Spring -- a "catastrophe" for the United States. Obama, in contrast, has characterized the uprisings a rebuttal of an extreme al Qaeda ideology. One victim, Mohammed Monzur Rahman, said he was left partially blind and with a dislocated shoulder after being attacked by a mob in Cannon Street Road, Shadwell, for smoking during the Muslim holy month of Ramadan last year. One teacher at the Bigland Green primary school, Nicholas Kafouris, last year took the council to an employment tribunal, saying he was forced out of his job for complaining that Muslim pupils were engaging in racist and anti-Semitic bullying and saying they supported terrorism. In August 2009, ten people died, eight burnt alive. Four churches were destroyed. Threats against Christian witnesses force them to flee to avoid further violence. Muslim leader says Christians “deserve” to be murdered. Catholic priest wonders whether minorities will ever have justice. Lahore (AsiaNews) – Pakistan’s fundamentalists are rejoicing following the acquittal verdict. The country’s Christian minority is “under shock” because, this time as well, the massacre of innocent victims done in the name of the infamous blasphemy law will go unpunished. The justice system also shows its powerlessness vis-à-vis extremists who can carry out heinous crimes with total impunity, whilst the government remains silent. Meanwhile, a Muslim religious leader publicly says that Christians “deserve” to be murdered. A Pakistani anti-terrorism court acquitted 70 people who, in various roles, were involved in the Gojra massacre of August 2009 (see Fareed Khan, “Eight Christians burned alive in Punjab,” in AsiaNews, 2 August 2009). The anti-Christian violence broke out following blasphemy allegations. During a wedding, a group of Christians supposedly burnt pages of the Qur‘an, a pretext used to strike at the religious minority. During the attack by hundreds of extremists (brought in by bus and trucks), ten people died, eight burnt alive. Four churches and various homes were also set on fire. Following the Gojra attack, instead of arresting the culprits, police, twisting the facts, took into custody a number of Christians for attacking the “other group”. The unjustly jailed Christians were eventually released but after several months. According to the court, the acquittal last Tuesday was due to the absence of Christian witnesses in the courtroom and the lack of evidence against the accused. Congress will hold a second hearing on “radicalization of the Muslim-American community,” next week, House Homeland Security Committee Chairman Peter King announced on Thursday night. King’s first hearing on American Muslims, in March, sparked international controversy and attracted huge attention by the news media. “We will focus on a number of the serious cases in which radicalized current and former inmates have planned and launched attacks or attempted to join overseas Islamic terrorist organizations,” King’s statement said. King’s March hearing was condemned by many Muslim and civil rights groups, which alleged the congressman was unfairly singling out one religion and which urged him to look at the issue of domestic terrorism more broadly. But King and others said a rise in domestic terrorism at the hands of Islamic radicals necessitated the hearings. King did not release a list of witnesses for the hearing but said it would include U.S. and international experts. “This radicalization hearing, like the one in March, will be a deliberate and thoughtful examination of an issue that is too important for our security to ignore,” King’s statement said. A former New York prisons official testified Wednesday that radical Muslims have made "sustained efforts" to indoctrinate inmates in America, at the second hearing on Islamic radicalization held by Rep. Peter King. The first round of King's hearings on domestic threats in March drew passionate protests, and the hearing Wednesday on radicalization in U.S. prisons drew similar objections. Rep. Bennie Thompson, D-Miss., the top Democrat on the House Homeland Security Committee, said at the opening of the hearing that the threat of terrorism from U.S. converts in prison is "small." "There are other threats to be concerned about," Thompson said. But law enforcement officials called to testify disagreed. Patrick Dunleavy, a retired official in the New York State Department of Correctional Services, said radical Muslims have been trying to convert U.S. inmates to their cause for decades. "Despite appearances, prison walls are porous," he said. "Individuals and groups that subscribe to radical Islamic ideology have made sustained efforts to target inmates for indoctrination." Kevin Smith, former federal prosecutor in California, cited the case of Kevin James and Levar Washington, who pleaded guilty in 2007 to "conspiracy to levy war against the United States through terrorism." Smith called it a "seditious conspiracy" hatched inside California's prison system. Michael Downing, a top official in the Los Angeles Police Department, described the conversions as a "phenomena of low volume," but one that holds "high consequence" considering the sheer size of the U.S. prison population. "We do have a problem," he said. "Prisons are communities at risk." King, R-N.Y., claims the prisons are a hotbed of radical conversion, but that he's not targeting Muslims. "What I'm targeting is violent terrorists and extremists, and ... the fact is that Al Qaeda itself has said it will recruit within the Muslim-American community. That's the reality," he told Fox News. Members of several New York organizations that protested the first hearings were back for the second round, saying the hearings play on stereotypes of both Muslims and prisoners. A coalition of civil rights, religious and interfaith groups met on New York's Long Island Tuesday. The protesters included an imam who works as a chaplain in a county jail on Long Island. He says he has seen no evidence of terrorist recruitment at the jail. "If we found anyone in our community committing an act of terrorism, by the time the police got there the matter would be settled and there would be one less terrorist," he said. Since the Sept. 11 terrorist attacks, there have been at least four cases of American Muslims being radicalized in prison. Bert Useem, a professor at Purdue University, pointed to the relatively low number of confirmed cases in claiming Wednesday that the threat of prison radicalization is relatively low. "Prisons have not served as a major source of Jihad radicalization," Useem said. King said that the Obama administration has been working with him to address the issue, noting that Homeland Security Secretary Janet Napolitano is setting up a task force to look into radicalization in the prisons. King said the next hearing after Wednesday's will likely be held in late July and will focus on reports of Americans joining Al Qaeda in the Arabian Peninsula, a Yemen-based offshoot of Al Qaeda that has been linked to attempted attacks on U.S. targets, including the foiled Christmas 2009 bombing of an airliner over Detroit and explosives-laden parcels found on cargo flights last year. WASHINGTON >> The U.S. government has warned domestic and international airlines that some terrorists are considering surgically implanting explosives into humans to carry out attacks, The Associated Press has learned. There is no intelligence pointing to a specific plot, but the U.S. shared its concerns last week with executives at domestic and international carriers. People traveling to the U.S. from overseas may experience additional screening at airports because of the threat, according to the Transportation Security Administration. "These measures are designed to be unpredictable, so passengers should not expect to see the same activity at every international airport," TSA spokesman Nick Kimball said. "Measures may include interaction with passengers, in addition to the use of other screening methods such as pat-downs and the use of enhanced tools and technologies." Placing explosives and explosive components inside humans to hide bombs and evade security measures is not a new idea. But there is new intelligence pointing to a fresh interest in using this tactic, a U.S. security official told the AP. The official spoke on condition of anonymity to discuss sensitive security information. When the U.S. government receives information suggesting terror tactics that could threaten commercial aviation, the TSA alerts companies domestically and abroad. Last December, the U.S. received intelligence that al-Qaida's Yemen branch was considering hiding explosives inside insulated beverage containers to carry them on airplanes. That warning was shared with domestic and foreign airlines so that security could be on the lookout, even though there was no specific plot. Airport security has increased markedly since the Sept. 11, 2001, terror attacks. But terrorists remain interested in attacking aviation and continue to adapt to the new security measures by trying to develop ways to circumvent them. WE ALREADY HAVE THEM - THET ARE CALLED ANCHOR BABIES! WASHINGTON — The chairman of the House Homeland Security committee says more than 40 Americans have been recruited and radicalized by al-Qaida-linked terrorists in Somalia and have gone to the war-torn country to fight. U.S. counterterrorism officials have not confirmed the high numbers of Americans joining the Somali terror organization, al-Shabab. The government has said at least 21 Americans are believed to have traveled to Somalia to join the terror group, which began as a push to expel Ethiopian soldiers. Al-Shabab has expanded focus over the years, and it has aligned itself with other anti-Western terror groups. New York Republican Rep. Peter King's findings are based on his committee's investigation into the threat, which he plans to address Wednesday during his third hearing on Muslim radicalization in the U.S.
How about some anti-war activism to flavor your coffee? A slew of radicals are behind Under the Hood, a coffee shop near the Fort Hood, Texas, Army base that is a central site of anti-war activities targeting enlisted soldiers. Under the Hood opened its doors in 2009. It hosts the Fort Hood chapter of the Iraq Veterans Against the War organization, or IVAW, one of the nation's largest anti-war groups. As WND recently reported, IVAW aided in the petition for conscientious objector status of Pfc. Naser Abdo, the Muslim soldier arrested earlier this month after reportedly admitting he planned a terror attack on Fort Hood soldiers. Find out what's planned for your neighborhood, in "Muslim Mafia: Inside the Secret Underworld That's Conspiring to Islamize America"
More than a year after the Fort Hood shooting massacre by Muslim U.S. Army major Nidal Malik Hasan, Abdo was caught with a bomb in a backpack and weapons stashed in a motel room meant for another attack at the base. Abdo was eventually granted conscientious objector status after he wrote in an application that he was conflicted about "whether going to war was the right thing to do Islamically." Besides aiding in Abdo's petition against being deployed, IVAW featured the volunteer recruit in its newsletter, branding him a "Muslim peacemaker." IVAW holds many of their events at the Under the Hood café. In May, the anti-war coffee house, together with IVAW, staged a march to the reception desk of Fort Hood's commander, Lt. Gen. Donald Campbell Jr., purportedly to demand better mental health services for soldiers. A joint Under the Hood and IVAW barbeque last year was replete with anti-war activists, including one photographed carrying a sign that read "We support our troops when they disobey their officers." In 2009, after Hassan killed 13 people at Fort Hood, Under the Hood and IVAW released a joint statement implying such acts were the result of "eight years of senseless wars" which have "taken a huge toll on our troops and their families." "As upset as we are about this incident, this shooting does not come as a shock," read the statement on the Islamic shooting. "It's time to admit that the wars in southwest Asia are in no one's best interests. Bring the troops home now!" Under The Hood says it provides support services for soldiers, including referrals for counseling, legal advice and information on so-called GI rights. The section on the Under the Hood cafe's website for GI rights forwards to a "GI Rights Hotline," which says it is a "a consortium of more than twenty non-governmental, non-profit organizations located in more than fifteen states and in Germany." That list of organizations includes the Military Law Task Force of the National Lawyers Guild; Quaker House, another anti-war cafe and the War Resisters League. The National Lawyers Guild has a long history of defending communists and Weather Underground members. Under the Hood is blunt about its political activism, stating outright on its website the cafe is an "anti-war" establishment. This weekend, the cafe is screening "Grounds for Resistance," a documentary about the "Coffee Strong" cafe, another anti-war coffee shop located outside the Fort Lewis, Wash., Army base. Coffee Strong's advisory board includes Noam Chomsky; Eva Golinger, an advisor to Venezuela President Hugo Chavez; and Antonia Juhasz, associate fellow with the Marxist-oriented Institute for Policy. Under the Hood describes itself as being part of the tradition of The Oleo Strut, a famous anti-war GI coffee house during the Vietnam War. Under the Hood was founded in 2009 by Cindy Thomas, a member of the radical anti-war group Code Pink. A Code Pink alert states, "Iraq Veterans Against the War, CODEPINK, and numerous other peace groups in Central Texas have helped to make Under the Hood a reality." Thomas herself noted that through Code Pink she became involved with Iraq Veterans Against the War, where she says she was contacted by a longtime activist who had been at The Oleo Strut during the Vietnam days. The activist "wanted to offer his fundraising abilities to help start a similar coffeehouse for Iraq veterans," she wrote. Oleo Strut and other GI coffee houses were started in the late 1960s with the help of Students for a Democratic Society and Weather Underground members Rennie Davis and Tom Hayden through their "Summer of Support" project. The two were instrumental in raising money to start The Oleo Strut. From correspondence discovered by WND, it appears that the activist who contacted Thomas about opening a cafe at Fort Hood was longtime organizer and former SDS member Tom Cleaver. The Veterans for Peace website quoted Cleaver as stating, "GIs stopped the war in Vietnam and they can stop the war in Iraq." Writing about the opening of the cafe at the radical Ragtag blog, Cleaver recalls how actress Jane Fonda helped him found The Oleo Strut. Wrote Cleaver: "I was quite happy this Spring to be able to bring 40 years of additional experience to bear on helping the GIs to organize the project, getting them an Austin law firm to do the work they needed to set up the Fort Hood Support Network pro bono, and to work with Jane Fonda to come up with the initial funding to get the site, equip it and operate it for the first several months." Do you think we should have stayed in Vietnam? What the heck? lol. What does that have to do with the article I posted, or Radical Islam?? Oh, I was just curious. No idea. Never thought about exactly when our exit date should have been. WASHINGTON >> Al-Qaida's second-in-command, Atiyah Abd al-Rahman, has been killed in Pakistan, delivering another big blow to a terrorist group that the U.S. believes to be on the verge of defeat, a senior Obama administration official said today. The Libyan national who was the network's former operational leader rose to al-Qaida's No. 2 spot after the U.S. killed al-Qaida leader Osama bin Laden during a raid on his Pakistan compound in May. Defense Secretary Leon Panetta said last month that al-Qaida's defeat was within reach if the U.S. could mount a string of successful attacks on the group's weakened leadership. "Now is the moment, following what happened with bin Laden, to put maximum pressure on them," Panetta said, "because I do believe that if we continue this effort we can really cripple al-Qaida as a major threat." Al-Rahman was killed Aug. 22 in the lawless Pakistani tribal region of Waziristan, according to the official said, who insisted on anonymity to discuss intelligence issues. The official would not say how al-Rahman was killed. But his death came on the same day that a CIA drone strike was reported in Waziristan. Such strikes by unmanned aircraft are Washington's weapon of choice for killing terrorists in the mountainous, hard-to-reach area along the Pakistan-Afghanistan border. Al-Rahman, believed to be in his mid-30s, was a close confidant of bin Laden and once served as bin Laden's emissary to Iran. Al-Rahman was allowed to move freely in and out of Iran as part of that arrangement and has been operating out of Waziristan for some time, officials have said. Born in Libya, al-Rahman joined bin Laden as a teenager in Afghanistan to fight the Soviet Union. After Navy SEALs killed bin Laden, they found evidence of al-Rahman's role as operational chief, U.S. officials have said. Connecticut Sen. Joe Lieberman blasted President Barack Obama’s counterterrorism policies in a speech Thursday, charging that he’s so worried about offending Muslims it is hurting the U.S. war on terror. Lieberman said Obama’s plan successfully diagnosed the gravity of domestic radicalization, but failed to lay out a cohesive plan to counter it. Lieberman, the chairman of the Homeland Security and Governmental Affairs Committee, announced in January that he would retire, and will not be seeking another term in Congress. Declassified documents, exclusive interviews and phone and banking records present an overwhelming case that the 9/11 hijackers relied heavily on a domestic support network to facilitate the plot. Former Sen. Bob Graham, D-Fla., who led the first congressional investigation into the 9/11 attacks in 2002, was asked by the Fox News Specials Unit if he believes the hijackers' support network remains in place today because it was never fully identified or disrupted after the attacks. Shown here is Anwar al-Awlaki's former mosque in San Diego. "I have no reason to believe it's not," Graham told Fox News. The findings of an 18-month investigation by Fox's Specials Unit, called the "Secrets of 9/11," to be broadcast Saturday at 10 p.m. ET, shows that some members of the suspected Al Qaeda support network entered the U.S. nearly a decade before the attacks and that others are still living here in plain sight. The House Homeland Security Committee shares these suspicions. A letter, first obtained by Fox News, states that the committee, chaired by Rep. Peter King, R-N.Y., has launched a congressional investigation into the New Mexico-born cleric Anwar al-Awlaki and his likely role as a 9/11 facilitator. Writing to Attorney General Eric Holder in May, King explained the committee's objectives. "The Committee on Homeland Security has initiated an investigation into Al Qaeda in the Arabian Peninsula terrorist Anwar al-Awlaki's possible involvement in the planning and execution of the September 11, 2001 terrorist attacks on the United States, including assisting, facilitating and mentoring 9/11 hijackers Khalid al-Mihdhar, Nawaf al-Hazmi and Hani Hanjour," he wrote. Declassified documents also show al-Awlaki was investigated by the FBI at least two years before the attacks because of his association with a suspicious Yemeni charity. "Secrets of 9/11" exposes the connections between al-Awlaki, his San Diego mosque and the hijackers al-Mihdhar and al-Hazmi. They were the first two hijackers into the U.S. in January 2000 -- arriving at least six months ahead of Mohammed Atta. They were the beachhead for the operation. One question was never answered: Why would Khalid Sheikh Mohammed -- the self-described architect of 9/11 -- send two of his most experienced hijackers, who spoke virtually no English, to the ghetto of Southern California unless there was someone there to meet them? The executive director of the 9/11 Commission, Philip Zelikow, told Fox News his team was deeply suspicious of al-Awlaki and his contacts with the hijackers in San Diego and in Falls Church, Va.
"We put the spotlight on Awlaki about as brightly as we could and as brightly as a government agency could," Zelikow explained. Graham said he was always troubled by the hijackers' so-called chance meeting with a Saudi called Omar al-Bayoumi who was connected to al-Awlaki. Bayoumi claimed to meet al-Hazmi and al-Mihdhar by accident at a Los Angeles Middle Eastern restaurant in January 2000. "There were 134 Middle Eastern restaurants in Los Angeles in January 2000. We had a statistician do a probability that four people would end up at the same place at the same time and it was more than five million to one," Graham told Fox News. Graham believes the "chance" meeting between the hijackers and the Saudi was planned. "My assumption is that the one-hour meeting with Bayoumi, he was directed to go to this restaurant and that the two hijackers had similarly been directed to go to the restaurant so that they would have this opportunity to meet and discuss the possibility of relocating to San Diego," Graham said. Eleanor Hill, the chief of staff for the Joint Congressional Inquiry, said the FBI was concerned about Bayoumi, who claimed to be a 44-year-old student in the U.S., long before the Sept. 11 attacks. "Bayoumi -- he was one of the individuals who had been the subject of a counterterrorism investigation or inquiry by the FBI and, lo and behold, ends up being really very helpful to two of the hijackers in California. He basically invites them to San Diego, he takes them around in San Diego, he helps them get an apartment, he puts down the deposit for their first apartment," Hill said. Graham told Fox News there was no evidence, as stated in the 9/11 Commission report, that the hijackers ever paid the Saudi back for the rent deposit on their San Diego apartment. It was not far from al-Awlaki's mosque where the hijackers met with him -- inside a small upper floor anteroom -- on a regular basis. "Our investigation did not find any record to support the argument that they (the hijackers) had reimbursed Bayoumi. Our conclusion was that this was one of the services that Bayoumi had been directed to provide," Graham said. Graham said the hijackers were also big spenders in San Diego. "The lifestyle of al-Hazmi and al-Mihdhar became very expensive. Among other things, they like to go to bars. And they spent a lot of money, in fact, al-Hazmi at one point wanted to marry strippers that they had met at the bar." Hill added that there is little doubt al-Awlaki, using his mosque as a base, along with his associates, facilitated the hijackers in San Diego in 2000. A year later, the same pattern was repeated in Fall Church at al-Awlaki's new mosque. "There was a lot of smoke. ... There was a lot of connection between al-Awlaki and the two hijackers in California. And then al-Awlaki moved to a different mosque, and lo and behold, shortly after that the hijackers go to Fall Church and go to Virginia," Hill explained. "They go to the mosque that al-Awlaki is at, just as in California, you have an associate of al-Awlaki ... taking them around and helping them get settled." For the first time, "Secrets of 9/11" documents how phone records link the fax number for al-Awlaki's Virginia mosque to one of the 9/11 conspirators on trial at Guantanamo Bay. Bank records also show hijacker Hani Hanjour forwarded his utility deposit from Arizona to the same Falls Church mosque after his pilot training concluded in March 2001. The 9/11 commission's Zelikow told Fox News that he believed Khalid Sheikh Mohammed never came clean on potential U.S. contacts for the plot. "KSM was asked, many times, about whether there were contacts in the United States. And ... he always seemed to blow smoke in answering questions like this," Zelikow said. National Correspondent Catherine Herridge's bestselling book "The Next Wave: On the Hunt for al Qaeda's American Recruits" was published by Crown on June 21st. It draws on her reporting for Fox News into al-Awlaki and his new generation of recruits -- al Qaeda 2.0. It is the first book to fully investigate al-Awlaki's American life, his connections to the hijackers, and how the cleric double crossed the FBI after 9/11. WASHINGTON (AP) — The FBI says a lecture at the bureau's training academy that was critical of Islam has been discontinued. The bureau employee who gave the lecture contended, among other things, that the more devout a Muslim is, the more likely he is to be violent. A federal law enforcement official, speaking on condition of anonymity about the internal FBI training issue, says the lecture was given for just three days last April. FBI spokesman Christopher Allen says that in the aftermath of the lecture, policy changes have been under way to better ensure that all training is consistent with FBI standards. The online publication Wired.com first reported on the instruction given to agents. Anwar al-Awlaki was believed to be hiding in Yemen (file photo). Sanaa, Yemen (CNN) -- American-born Muslim cleric Anwar al-Awlaki -- whose fluency in English and technology made him one of the top terrorist recruiters in the world -- was killed Friday in an airstrike in Yemen, officials said. Al-Awlaki's death, confirmed by U.S. and Yemeni officials, dealt yet another blow to the al Qaeda network, reeling from the killing and capture this year of several top leaders, most notably Osama bin Laden. A "successful joint intelligence-sharing operation" between Yemen and the United States led to the attack that killed al-Awlaki, a Yemeni government official said Friday. The official asked not to be named because he is not authorized to speak to the news media. The United States regarded al-Awlaki, the public face of al Qaeda in the Arabian Peninsula (AQAP), as a terrorist who posed a major threat to American homeland security. Western intelligence officials believe al-Awlaki was a senior leader of AQAP, one of the most active al Qaeda affiliates in the world. It has been linked to the attempt to blow up an airliner over Detroit in December 2009 and a cargo plane plot last year. "Anwar al-Awlaki didn't need subtitles to indoctrinate," said Sajjan Gohel of the Asia Pacific Foundation, who called al-Awlaki's death significant. "He spoke English, he understood how to impact the Muslim diaspora in the West." Al-Awlaki was killed about 8 kilometers (5 miles) from the Yemeni town of Khashef, east of the capital, Sanaa, said Mohammed Basha, a spokesman for the Yemeni Embassy in Washington. He said the operation was launched at 9:55 a.m. The Yemeni government official said Yemeni intelligence recently located al-Awlaki's hideout in a house in Khashef, in Jawf province, which borders Saudi Arabia. A senior U.S. administration official confirmed al-Awlaki's death. The official spoke on condition of anonymity to CNN because he is not authorized to release the information. The official did not provide any other information. Three others, including Samir Khan, an American of Pakistani origin, were killed with al-Awlaki, reported Yemen's state-run Saba news agency, citing an official security source. Saba said Khan specialized in computer programming for al Qaeda. Al-Awlaki was born in Las Cruces, New Mexico, and lived in the United States until the age of 7, when his family returned to Yemen. He returned to the United States in 1991 for college and remained until 2002. It was during that time that as an imam in California and Virginia, al-Awlaki preached to and interacted with three of the September 11, 2001, hijackers, according to the 9/11 Commission Report. He publicly condemned the attack afterward. Former CIA spy: Al-Awlaki "very narcissistic"
Al-Awlaki spent 18 months in a Yemeni prison from 2006 to 2007 on kidnapping charges, but was released without going to trial. Al-Awlaki claimed that he was imprisoned and held at the request of the United States. U.S. officials say al-Awlaki helped recruit Umar Farouk AbdulMutallab, the Nigerian man known as the underwear bomber, who was charged with trying to blow up a transatlantic flight as it landed in Detroit on December 25, 2009. The militant cleric is also said to have exchanged e-mails with accused Fort Hood shooter Maj. Nidal Hasan, who is accused of killing a dozen fellow soldiers and a civilian in a rampage at the Texas Army post. "If you put it into perspective, (Osama) bin Laden's death had global ramifications for the transnational terror movement. Anwar Al-Awlaqi's death will have equal implications for lone-wolf terrorism," Gohel said. That's because al-Awlaki was articulate and he understood the Western mindset, Gohel said. He knew his way around the internet and was skilled in indoctrinating impressionable youth. Early this year, a Yemeni court sentenced al-Awlaki in absentia to 10 years in prison on charges of inciting to kill foreigners. Prosecutors charged al-Awlaki and two others with "forming an armed gang" to target foreign officers and law enforcement in November. At a U.S. congressional hearing this year, Michael Leiter, director of the National Counterterrorism Center, said, "I actually consider al Qaeda in the Arab Peninsula, with al-Awlaki as a leader within that organization, as probably the most significant threat to the U.S."
According to IntelCenter, which monitors jihadist propaganda, Nasir al-Wuhayshi, who is responsible for expanding AQAP's focus on U.S. attacks, remains in charge of the group and further attempts to conduct attacks are expected. In support of that goal, al-Awlaki was due to release an article in the next issue of AQAP's Inspire magazine on the justifications for attacking civilians in the West. The group announced the upcoming article -- "Targeting Populations of Countries at War with Muslims" -- this week but did not publish it in its latest edition. Al-Awlaki narrowly survived a U.S. drone assault in May after he switched vehicles with a fellow jihadi, a senior security official told CNN. Attorneys for al-Awlaki's father, Dr. Nasser al-Awlaki, tried to persuade U.S. District Court Judge John Bates in Washington to issue an injunction last year preventing the U.S. government from trying to kill al-Awlaki in Yemen. Bates dismissed the case in December, ruling that Nasser al-Awlaki did not have standing to sue. In a November hearing, lawyers for the U.S. government declined to confirm that the cleric was on a secret "kill list" or that such a list even exists. Last year, YouTube removed a number of video clips featuring al-Awlaki that it found to be inciting violence. Rep. Peter King, chairman of the House Committee on Homeland Security, called al-Awlaki's death a "great success" in the fight against al Qaeda. "For the past several years, al-Awlaki has been more dangerous even than Osama bin Laden had been," the New York Republican said. "The killing of al-Awlaki is a tremendous tribute to President Obama and the men and women of our intelligence community. "Despite this vital development today, we must remain as vigilant as ever, knowing that there are more Islamic terrorists who will gladly step forward to backfill this dangerous killer." 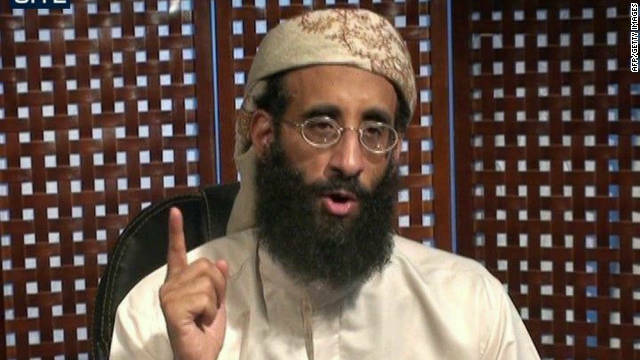 Al-Awlaki's death is the latest in a string of losses for al Qaeda. According to Michael Vickers, the U.S. undersecretary of defense for intelligence, eight of the terror network's 20 key leaders have been killed this year. He cited the killing of Osama bin Laden in May, the death of al Qaeda second-in-command Atiya Abdul Rahman in August, and the capture of Younis Mauritani, a senior planner of operations, in Pakistan this month. Only al Qaeda's current leader, Ayman al-Zawahiri, remains active among those who were the top nine terrorists at the time of the 9/11 attacks against the United States in 2001. But al Qaeda is far from dead, Vickers noted, and still poses a dangerous threat to the United States. "It maintains a worldwide strength numbering in the low thousands. It has broadened its reach through affiliate organizations" in general, but in particular he mentioned al Qaeda in the Arabian Peninsula, which he said has been able to increase its operating space in Yemen. Anwar al-Awlaki, the U.S.-born cleric killed Friday, sought to use weapons of mass destruction to attack westerners in his role as chief of external operations for Al Qaeda in the Arabian Peninsula, according to a senior U.S. official. The terror leader specifically sought to use poisons including cyanide and ricin, as he planned and directed attacks against the United States from his foreign base, the official said. The details of al-Awlaki's influence come as top U.S. officials privately tout the U.S. strike that killed him as a major get in a long string of Al Qaeda leaders taken out by the Obama administration, most notably Usama bin Laden earlier this year. But al-Awlaki was also a significant figure within Al Qaeda, with the senior U.S. official noting that Al Awlaki played a "significant operational role" in Umar Faruk Abdulmutallab's attempted attack on a Northwest Airlines flight to Detroit on Christmas Day 2009. The senior U.S. official said al-Awlaki "specifically instructed Abdulmutallab to detonate the device while over U.S. airspace to maximize casualties." The senior U.S. official also noted that al-Awlaki also helped "oversee the October 2010 plot to detonate explosive devices" aboard U.S. cargo aircraft. The terrorist "had a direct role in supervising and directing" Al Qaeda in the Arabian Peninsula's failed attempt to bring down two planes. That plot involved mail bombs that were sent to Chicago-area synagogues but was foiled when the devices were stopped in Dubai and Europe. Then there is al-Awlaki's ability to inspire violent attacks on the American homeland, including accused Fort Hood shooter Nidal Hasan, who attended al-Awlaki's sermons in Virginia and allegedly corresponded with him through email. "After the attack, al-Awlaki posted commentary on his blog praising Hasan's actions and calling him his student and brother," said the senior U.S. official. Faisal Shahzad, who pled guilty to the Times Square car bombing attempt in the spring of 2010, also told interrogators that he was "inspired by" al-Awlaki. The senior U.S. official is also pointing to a May 2010 video interview conducted by Al Qaeda in the Arabian Peninsula's media wing in which al-Awlaki called for attacks against U.S. military personnel worldwide and "claimed all Americans were valid targets, and directed followers to engage in armed conflict with the United States."